'Reflections on War' is Gary's groundbreaking and highly-anticipated 'comeback' debut solo album of 2010, following a long-term absence from live performance and recording, due to a long period of illness. Released on Whippet Records (WPTCD22) and produced by award-winning producer, musician, and songwriter Iain Petrie. 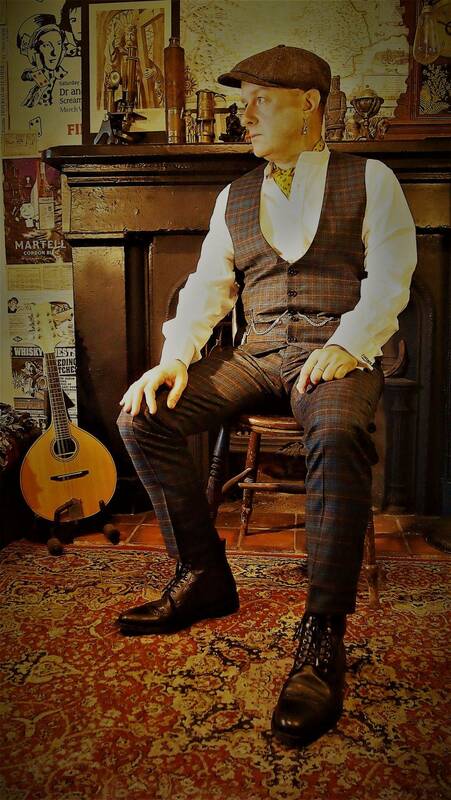 "Gary Miller has a distinctive voice which he uses to deliver songs in a very direct manner. On this CD, however, he has experimented with different approaches. These contrasts, combined with varied musical arrangements on each track and Gary’s ability to compose strong melodies, make for a riveting listen... those who seek challenge and intelligence in the music they listen to will, like me, welcome the re-emergence of this unique talent." (Joe Grint, Tykes News, UK). "Lots of actually quite decent songs about soldiers and war with good folk-rockish arrangements." (fRoots, UK). 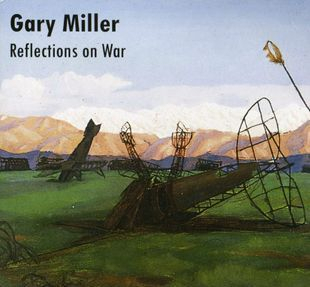 "A very exciting, multi-faceted view of war from Gary Miller. Gary and his brother formed the Whisky Priests and produced many wondrous cds filled with the culture and folk art of the North-East of England. This look at war is equally folky and earthy. But it is also reflective and inspirational - comforting. Great listening with a variety of styles and textures. Highly recommended. The cd is truly inspiring and uplifting and covers the phenomena of war now so much a part of our own experience today. Well worth listening to." (Conrad Jay Bladey, Hutman Productions, USA). 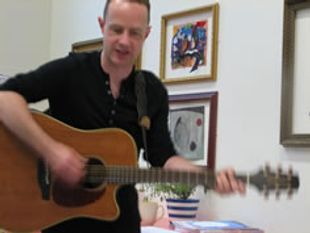 "His lyrics are of the same quality as those popular WW1 songs from Scotsman-turned-Aussie Eric Bogle. Musically he is branching out in different directions, there are tracks we're used to from the Priests, but he is also covering new ground... Gary Miller is back on track." (Walkin' T, Folkworld, Germany). "What can I say - The Whisky Priests were one of the great under-rated bands, and Gary is one of the greatest songwriters the UK has ever produced and again, much under-rated. This album is sheer genius. Buy it now." (Anders Moskus, iTunes). 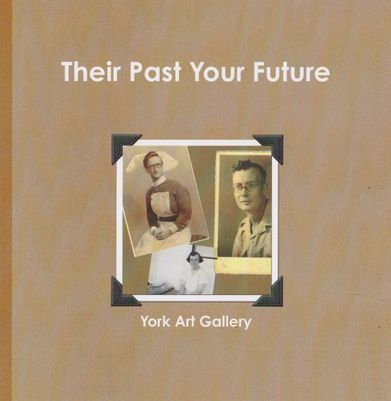 "This CD grew out of my involvement in the community arts project ‘Reflections on War’ at York Art Gallery, as part of the Territories Project for York Museums Trust. Assistant Curator of Arts Learning, Gaby Lees asked me to facilitate a series of songwriting and poetry workshops over 6 sessions in April-June 2009. It was my pleasure and privilege to meet and work with a wonderful group of people in developing an exhibition based on war-themed art and memorabilia from the Museum’s collection, aswell as personal stories and recollections on the subject of war. The work created by the participants (a fascinating collection of poems and stories) is collected in two superb books which perfectly supplement this fine exhibition. In addition, I was inspired through the project to create a series of songs of my own, often inspired through direct involvement with the participants themselves. 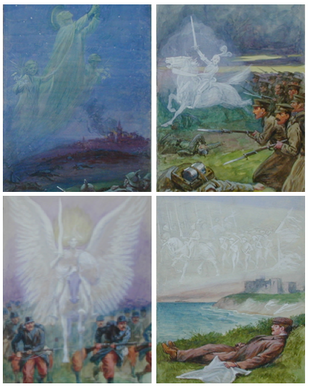 I was particularly interested in focusing on the personal impact of war through its effect on individuals. When the opportunity arose to record some of these songs for this collection, I never imagined at the outset that the results would be made available to be heard outside the small circle of people involved in the original project. The recording project, however, developed and grew and took on a life of its own - and so here are the results for all to hear!" “More than 50 local people, ranging in age from 11 to 93, worked together on the exhibition, Reflections on War. Supported by songwriters, poets and curators, they shared their ideas and memories, inspired by the collections of York Museums Trust. 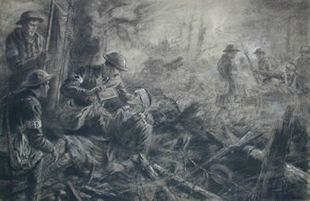 Participants considered the extreme circumstances of war and its impact on real lives, from the horror of the battlefield and the tragic loss of life, to stories of heroism and comradeship. The result was an exhibition filled with personal insight and experience, reflecting on war and conflict since the late 1800s. From the lessons of the past, we build our hopes for the future. "The gallery exhibiting the Reflections on War had a good community feel – the interpretation was detailed and absorbing and the quotes from the people involved in compiling the exhibits were very thought provoking. The interactive audio had quality music and lyrics. The laminated – ‘Links with the Past – somewhere at the front’ - was poignant and well produced. Altogether this exhibition was of a very high standard." 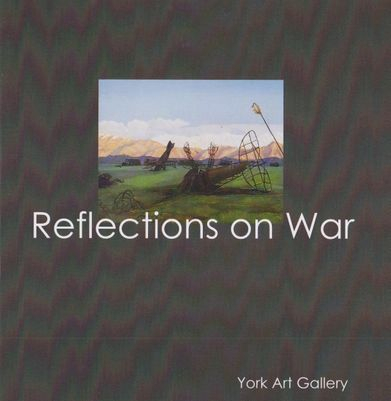 A collection of poems written by people of York, inspired by the collections of York Museums Trust, reflecting on war and the impact of war, to accompany the exhibition 'Reflections on War' at York Art Gallery. This project was funded by the MLA's 'Their Past Your Future'. In this book, the local people of York recall the effects of war, on themselves and their loved ones. Inspired by the collections of York Museums Trust, community groups have worked with creative writers to tell their stories. Included in the book, are first hand accounts, relating to images from York Art Gallery, amongst them the words of Effie Townend, a nurse from Selby, awarded the Royal Red Cross for her duty aboard HMHS Somersetshire. Gaby Lees (Assistant Curator of Arts Learning and Territories Coordinator York Art Gallery). David Bagnall, Angela Hall, and Lynda Withers. “I was immediately interested because I had only just moved to York and I wanted to get involved in the local community to the widest possible extent. The remit for ‘Reflections on War’ neatly encapsulated my interest in the local community with my wider interest in matters that have some military association. I have attended all of the sessions at the gallery and have been able to contribute in a small way to the background detail that gives this exhibition its own unique characteristics. I’m a lousy poet but I do know something about military history!" "It has been a thrill for me to be involved in this project, and especially to 'find a voice' which has been an amazing experience for me - I intend to go on writing!!" with additional funding from ‘Their Past Your Future’ MLA, which is funded by the Big Lottery.